Good morning, dear friends! Today I have an easy and super yummy recipe for you! An ideal breakfast for a weekend mornings! A breakfast that both kids and grown ups will love! Seeing lots of toast bread in my fridge the other day made me wonder what to do with it! So I came up with the idea to make a sweet club sandwitch! It turned out amazing and we really enjoyed it. 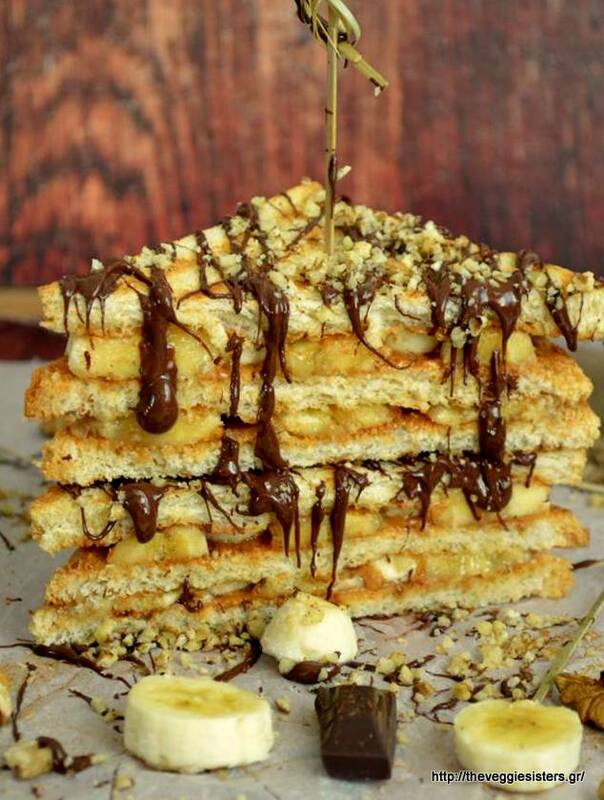 Toasted bread, spread with peanut butter, stuffed with banana slices and drizzled with melted chocolate! How does that sound? Heavenly, right? My mouth starts watering just by describing it! And I just had my oat bowl. You should definitely try it, guys! I will be waiting for your feedback! I am off now! Got to go to school! Don’t forget to enter the giveaway! It expires this Tuesday! Kisses and hugs! Happy weekend everyone! Toast bread slices. Spread each one with peanut butter. Put banana slices on them. Sprinkle with cinnamon, Press so that bread slices stick together. 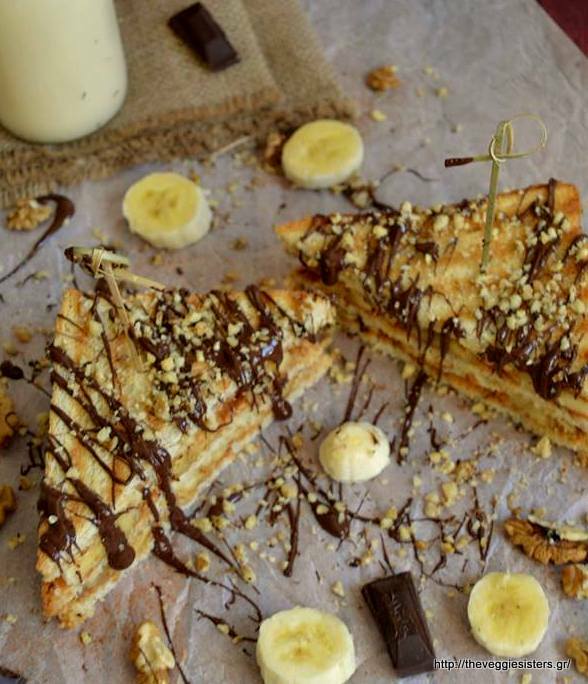 Cut daigonally with a sharp knife and top with melted chocolate and walnuts. Enjoy! Share the post "Sweet club sandwitch!"